Episode 141 features McKenna Rankin who hails from Dallas, Texas. McKenna is 26 years old and is currently studying for her National Counseling Exam. She will then be credentialed as a Licensed Professional Counselor. McKenna plans to be a mental health counselor and is interested in working with children. 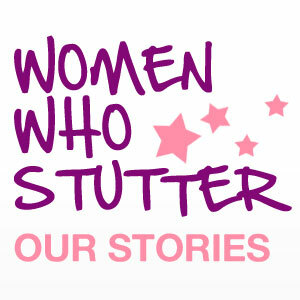 Listen in as McKenna shares her journey with stuttering. She has found she has had to educate mental health counselors about stuttering, many who believe stuttering is anxiety based. It is exciting that McKenna is going into a field that she will be able to dispel a lot of myths about stuttering. We also talk about a rock bottom moment that McKenna had when interviewing for grad school, where an interviewer asked her if she really thought she could be a counselor with her stuttering. This was the first roadblock McKenna saw to doing what she really wanted to do. This propelled her to enroll in the Successful Stuttering Management Program (SSMP.) She says that was a life changing experience. She no longer shuts down because of stuttering. We also discuss how stuttering helps her to have more empathy with clients and she thinks that will be an asset in her counseling practice. The podcast safe music used in today’s episode is credited to ccMixter. Feel free to leave comments for McKenna.